cliexa® partners with the University of Colorado Boulder's Cognitive and Affective Neuroscience Lab (CANLab) for Multidimensional Pain Tracking and Predictive Analytics Research. 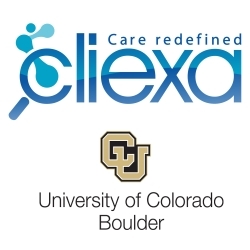 Denver, CO, February 28, 2018 --(PR.com)-- cliexa, Inc., which offers a suite of mobile platforms for chronic disease management, announces its collaboration with CU Boulder’s CANLab and Institute of Cognitive Science (ICS). cliexa will collaborate with CANLab’s team, headed by Tor Wager, a professor of psychology and neuroscience, as they lead in multidimensional pain tracking and predictive analytics research.